Includes presets based on the PRS Archon and Line 6 Litigator (Dumble) amps in both single and dual amp configurations. LRS M2 ATyp SM7b Comp 01 (from the A Type 2×12 pack found here. In our Helix, it’s in IR slot 43. 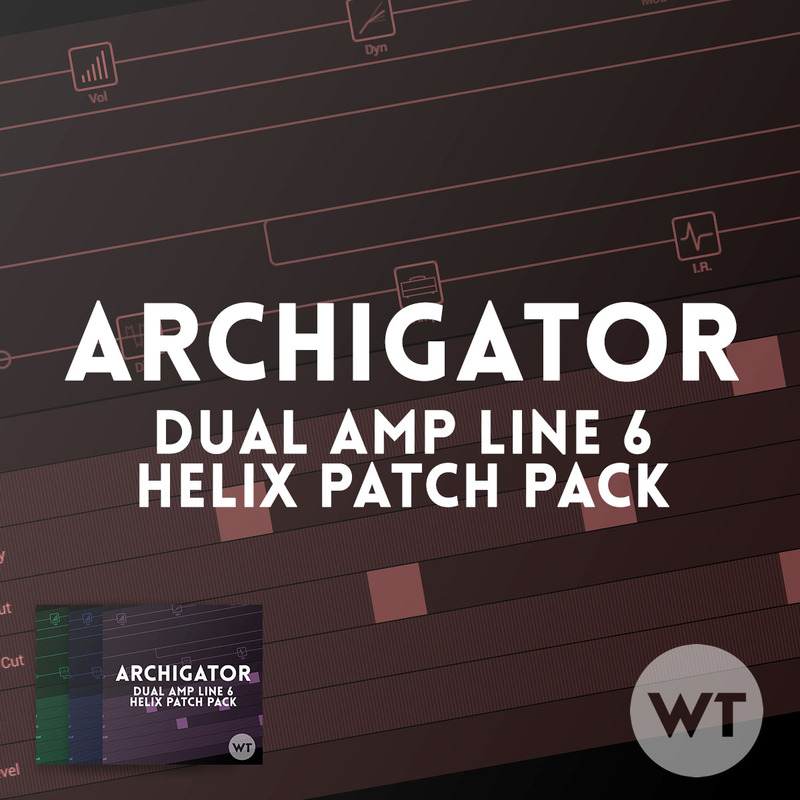 Archigator (stock and IR versions): These patches include both the Archetype (PRS Archon) and Litigator amp models in a dual amp setup. It will break up on it’s cleanest setting, and when you hit it with drive pedals it delivers the goods. Our personal favorite of this pack. Archetype (stock and IR versions): These patches include just the PRS Archon (clean channel). This amp is very clean but takes pedals well. If you want pristine cleans but all the options for drive, delay, verb, etc – this is your go-to. Litigator (stock and IR versions): These patches include just the PRS Litigator amp model. This one is set to break up a bit on the cleanest setting. It’s Line 6’s take on the Dumble Super OD amp – a favorite of many famous players including Carlos Santana and John Mayer. Play some Mayer licks on a Strat and see what we’re talking about. The effects layout and snapshots are similar between all the patches, although settings have been tweaked to sound best with each setup. Feel free to experiment. We don’t think one sounds necessarily better than the other – just different. This patch is meant to be used in either stompbox or snapshot mode. We recommend setting up your Helix to use all ten stomps (stompbox mode) or all eight snapshots (snapshot mode). Feel free to stack drive pedals for bigger sounds. We like turning on all the gain for solo tones. The dotted 8th is running in parallel with the quarter and 8th note delays, which creates a patterned type of delay. Snapshot 1: Clean (all patches). This is the base clean tone with delay. Snapshot 8: Big Swells (all patches) – this uses the ‘Swells’ stomp button plus more verb and delay.